First Christian Church - SERMONS - Are You Unleashed? We have a commission from Jesus Christ. However, before the disciples could fulfill the commission Jesus gave them, He would have to unleash His Spirit upon them so they would have power to do what He commanded. Therefore, Jesus told them to wait and prepare for the promise. 1. Empowers us to touch the entire world. 2. Enables us to step outside our comfort zone to reach the unlovable. 3. Emboldens us to stand for Truth and righteousness in a culture that has gone astray. The believers in Acts were considered troublemakers. Nevertheless, they confronted moral issues, religious traditions of men, and they were direct, not politically correct. Peter and John were people like us. We can be like them if we will seek the Holy Spirit and to spend time with Jesus so we can fulfill the commission given to us. Unity will be achieved if we just do what Jesus said, “Love God and love your neighbor.” There is unity in Jesus, who is the Truth. He brings us together and makes us powerful. That is why the enemy works hard to separate us. Beware of the evil spirits of pride and arrogance that cause division in the Body of Christ. Stay humble and focused on Jesus, the author and finisher of our faith. Work on the mission He gave us: to make disciples and to love one another. We don’t need a diversity plan if we just love all people and welcome them into our lives. Cultural differences won’t matter when people feel loved and accepted. If people are genuinely loved, they won’t want to leave. Luke 10:2-3 He told them, "The harvest is plentiful, but the workers are few. Ask the Lord of the harvest, therefore, to send out workers into his harvest field. Go! I am sending you out like lambs among wolves. Jesus understands what we are facing. That is why He wants us to receive His Spirit—so we will have power to be His witnesses in the midst of wolves. How do we successfully witness for Christ? A church’s success should NOT be measured by the number attending, but by the number of people we talk to about our faith in Jesus each day and by following His Spirit so that our words line up with our life! If we will do that, God will give the increase. He will add daily to the church those who are being saved. Innumerable growth comes from God’s love and God’s power. Are we loving God, loving people, and lifting up Christ as we “go” about our daily life? We really have no other purpose on this earth. Following Jesus is not always easy. It will cause pandemonium and bring persecution from family, friends, unbelievers, and religious people. However, following Jesus is not complicated—let Him fill you with His Spirit so you can love God and love people, even our enemies. There will always be those opposed to the truth, but we are not to fear them, only God. We need to be prepared for this reaction as we go and make disciples. The biggest day of pandemonium will be when Jesus returns. We need to be busy doing what Jesus told us to do while there is still time. If we are going to be part of the Church God uses in this city, we must be prepared for the pandemonium created by the Holy Spirit through change. His purpose is to conform us to the image of Christ Jesus, so we become powerful and effective in Him. He gives us power through prayer, power through the Holy Spirit, and power through love. God is shaking us up, and it may seem a little scary, because we are not accustomed to being shaken, changed, and we don’t know what the outcome will be. However, before God can unleash us upon the world, He must unleash Himself upon us! The shaking is to get rid of the dirt that is deep down in our lives. Like a rug that must be taken outside and shaken vigorously to be thoroughly clean, God is shaking us, ridding us of all sin, dirt, and uncleanness so we may become the Bride of Jesus Christ without spot or wrinkle, who represents Him in this world. We are not defenseless when persecution comes. However, we must remember our attackers are not flesh and blood, but demonic spirits and the ruler of this world. That is why prayer is so important, and why the Church prayed with unity to Almighty God, who is our strength and our deliverer from the evil one. When persecution came to the church in Acts 4, they praised God and had a prayer meeting. They acknowledged He was in control and everything was happening as He said it would and according to His purpose. Then they prayed for God to show forth His power, validating their message that Jesus is the Christ. They also prayed for boldness to continue speaking the Word, and God answered that prayer. They went out from that prayer meeting filled with the Spirit and speaking the Word boldly. Do not be afraid of the shaking from the Holy Spirit. We need Him. The Church in Acts viewed prayer and the power of the Holy Spirit as essential in seeing God work in miraculous ways. Some marvelous and great things occurred when all of the members of this church were on one accord and prayed. God shook the place. All believers were filled with the Holy Spirit. God answered their prayer and empowered them to continue witnessing boldly. The power evidenced in the 1st Century Church should be evidenced in the 21st Century church because God has not changed. The pattern that we find in the early Church is that they prayed and prayed often! And it’s important for our church to have this emphasis. It’s time for us to enter into the spirit of corporate prayer and forget about our fear of praying in public. Just as individuals are to pray, we are to pray as a church body. We are to pray, believing that God, who is all-powerful, hears and answers our prayers. Doing this will shake us and change us; bringing the life of the Spirit, who is God, into our midst. Acts 4:32-37 All the believers were one in heart and mind. No one claimed that any of his possessions was his own, but they shared everything they had. With great power the apostles continued to testify to the resurrection of the Lord Jesus, and much grace was upon them all. There were no needy persons among them. For from time to time those who owned lands or houses sold them, brought the money from the sales and put it at the apostles' feet, and it was distributed to anyone as he had need. Joseph, a Levite from Cyprus, whom the apostles called Barnabas (which means Son of Encouragement), sold a field he owned and brought the money and put it at the apostles' feet. Lavishness is not a one-time act. It is a lifestyle. Communicate God’s love wherever you go and to whomever you meet, but especially love other members of the Church. Lavish love also loves those who don’t expect love. Lavish love loves the unlovely. Galatians 6:10 says, "Therefore, as we have opportunity, let us do good to all people, especially to those who belong to the family of believers." Giving to those outside the family of God is an outreach, done under the direction of the Holy Spirit, as a means of sharing the Gospel with those who do not know Jesus. This is not to be confused with meeting the needs of Christ’s Body. Our love for one another should motivate us to ensure every member’s needs are met. Don’t be surprised by persecution. Christians should expect persecution from this world that hates Jesus. Our need for love and acceptance will not be met by the unbelieving world, but through the body of Christ, as we love one another. Furthermore, we should refuse to be silenced by persecution. Christians must continue to lift up Jesus and witness to God’s love in this hating world by the power of the Holy Spirit. For most of us, the great hazard is not that we will renounce our faith. It is that we will become so distracted, rushed, and preoccupied that we will settle for a mediocre relationship with Jesus, leaving us with little to tell others about. Jesus is calling us to put down all the things that distract us from him. If we are not spending time in prayer and reading the Bible, we won’t have the Word saturating our spirit. Then, when hazards come into our life, the Holy Spirit has nothing to bring to our remembrance. We won’t know what to do or what to say according to the Word and we will give a fleshly, worldly response. However, if we are into the Word, prayer, and fellowship with the Holy Spirit, we will have power and the right response to whatever hazard the enemy places in our way. Persecution does not stop the kinetic power of the Church. 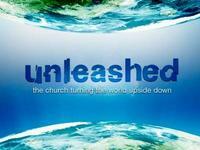 Jesus started the Church in motion in Acts 2 by unleashing the Holy Spirit to empower us. We can have absolute confidence in the Holy Spirit to build Christ’s Church. Jesus put the Church into motion and it is unstoppable. No matter our age or how long we have been a Christian, we need to live holy, sanctified, and set apart lives, filled with the Holy Spirit, which are in a kinetic state of motion, bringing us closer to God each day. If we do not pay attention “to what we have heard” (including this series of lessons), if we relax the standards of God’s Word, if we quit moving, quit obeying the Word, quit seeking the presence of the Holy Spirit, we will drift away from God. Regardless of the hazards and resistance to the truth, Jesus and the disciples did not drift, but went against worldliness, sin, and false religion. So stay filled with His Spirit and never stop following Jesus regardless of the difficulty. With Jesus, we will suffer, but we will not be overcome by troubles, trials, or temptations. On the contrary, we will be victorious! When we are under pressure, facing problems, persecuted, and still praising and thanking God, we are a powerful witness to God’s grace and His Spirit in our lives. After all, it was a persecuted, praising, and thankful Church that turned the world upside down! Nothing should move us but the Holy Spirit. We need to be unequivocal in obedience to the Word and the Holy Spirit. The temptation may be strong to disobey; obedience may cost us something or appear difficult, but we must stay focused on Jesus, our destiny, and our duty to share the Gospel. God is unequivocal, very clear, about what is sin and the consequences of choosing to sin. He is also clear about repentance and the consequences of choosing to repent. He is unequivocal about life and death, Heaven and Hell, following Jesus Christ and falling away. God is clear about salvation through the work of Jesus on the Cross. Jesus is the Way, unequivocally the only way, to eternal life in Heaven. Believe and confess Jesus as Savior and Lord, repent of your own way and sin, die to yourself in baptism, and receive a new life in the Holy Spirit. Christian, are you unleashed? We must be filled with the Holy Spirit. Without Him, we can do nothing. Seek Him with all your heart, for He is God, Immanuel—God with us.